Bring your suitcase into la cocina! Browse recipes — some authentic, some Spanish with a twist — from friends, family and expert chefs. 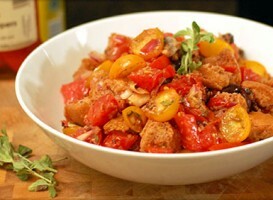 Chef Virginia Monaco pairs Romesco, a popular Catalan roasted vegetable sauce, with baked eggs, potatoes and chorizo in a unique, Springtime Spanish recipe. 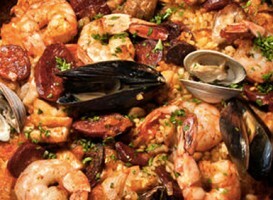 Masters of the Socarrat: Join us for a Paella Cook-Off in NYC! To celebrate National Paella Day, join us, Iberian Beer United, Despaña and Paella Pans at Jimmy’s #43 Restaurant for the first NYC paella Cook-of. 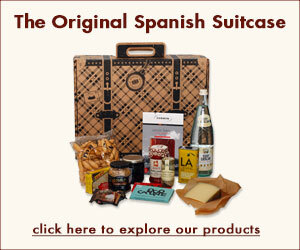 The chef who whips up the top paella will win a Spanish Suitcase! 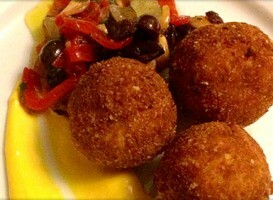 Croquetas de bacalao, or salt cod croquettes, are a fixture in Spain’s tapas scene. While labor intensive to prepare, these creamy bites are worth every minute spent in the kitchen. 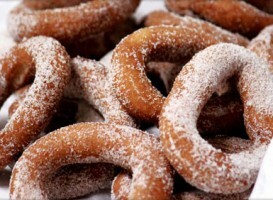 Rosquillas, or Spanish doughnuts, are a favorite sweet during the holiday season. This Spanish doughnut recipe comes from chef Jesus Núñez, who brings “global, casual comfort food” to the kitchen of Barraca, a new Spanish restaurant in NYC’s West Village. 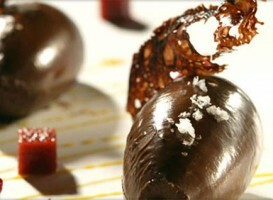 Mallorca-based British chef Marc Fosh shares a modern recipe for chocolate and olive oil truffles, garnished with Flor de Sal d’Es Trenc sea salt, fruit gelatin and pepper jelly. Chef Virginia Monaco puts a Spanish twist on the classic Italian bread salad featuring piquillo peppers, boquerones, olives and pimentón. 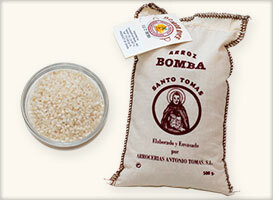 Learn more about conservas, pimentón, jamón ibérico and serrano, Marcona almonds and Bomba rice with our Spanish gourmet food cheat sheet. 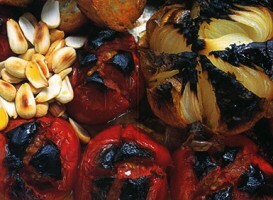 This recipe for Catalan roasted-vegetable sauce combines ingredients that everyone seems to love: peppers, tomatoes, almonds, bread and onions. It is a wonderful match for seafood and meats. 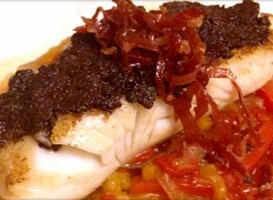 Hake accounts for one third of all fish consumed in Spain, and with good reason. 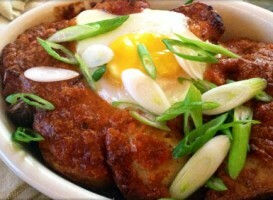 Hake has a mild yet meaty flavor with a beautifully buttery consistency, especially when prepared simply. The Spanish love cooking directly on a plancha, or flat top grill. 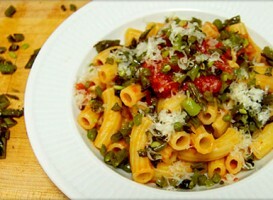 The combination of Conservas Maria Jesus Traditional Tomato Sauce with crispy green beans and buttery shavings of Campo Montalban makes for a simple and sabroso end to the week. 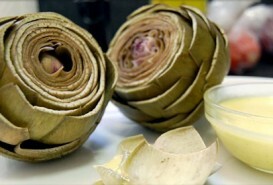 As the second largest producer of artichokes in the world, Spain knows how to honor this thistly treat. We enjoy our artichokes prepared simply and accompanied with this zesty aïoli, a twist on the classic Catalan garlic and oil preparation.